Performance at GCSE is the key that unlocks entry to A level, BTec and university courses. Most sixth forms and FE colleges will have indicated the GCSE grades a student must obtain to study a particular subject at A level – it’s usually grade 4 or above, but sometimes a higher grade will be stipulated. Whatever subject(s) you want to study, GCSEs in maths and English language at grade 4 (the new equivalent of a grade C) or above, are a baseline requirement. The new numerical grading system (1-9, with 9 being the equivalent of an A*) is now used for most subjects. So, what’s the plan if things don’t go as expected? You may have received your results on-line or via text, but going in to school means that you can get advice and discuss options with teachers straight away. Not made the grade for sixth form or FE college? Talk to course leaders – some colleges are flexible or will allow you to start your chosen course and study for retakes at the same time. For students with few GCSEs, advisors may suggest level 2 vocational courses. Schools can arrange for papers to be looked at again – usually only for those candidates who missed predicted grades by one or two marks. There is a charge for this if the exam board leaves the grade unchanged. The government’s Education and Skills Funding Agency confirmed that candidates with 3s in maths and/or English language must enrol on the GCSE course(s) again and ‘continue to study the subject(s) in both years until they achieve at least a grade 4 in each subject.’ This will be alongside the A level or BTec courses they are taking. Those with 2 or less can study 'stepping stone' qualifiations instead. 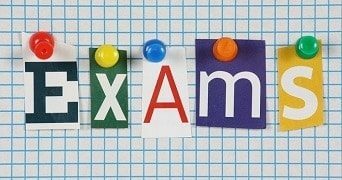 Students wishing to resit maths or English GCSE may be able to do so in November of the same year, but must wait till June of the following year to resit other subjects. Some schools and colleges will arrange for students to do this but if not, exams can be taken through a tutorial agency or as private entrants at the nearest exam centre. See individual exam board websites for information about this.